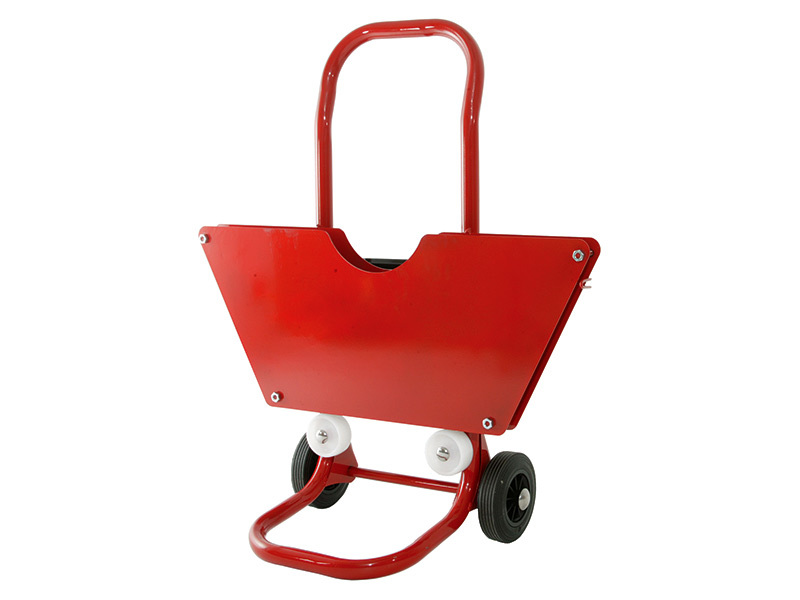 What is the purpose of the mobile dispenser trolley? 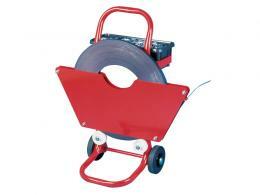 The mobile dispenser trolley is designed for use with ribbon wound steel strapping. 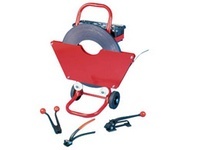 The trolley simplifies the process of moving steel strapping back and forth without all of the hassle. It is designed with heavy duty wheels to make maneuvering through a variety of environments a breeze. 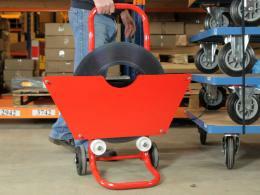 As an added bonus, the trolley also features a tray which is suitable for hauling tools and steel strapping seals. With the use of this dispenser trolley, the process of steel strapping can be done on one end of a building and then on the other in a matter of minutes. This product is most useful in settings where shipping, packaging or bundling is done with the use of steel strapping. Whether shipping or packaging with steel strapping is done frequently or sparingly, the trolley is an excellent tool to have in any business that works with steel strapping. It is helpful in a warehouse environment, outdoors or even in a small garage. This product may be used by individuals in a variety of professions. From professional truckers to those who work in shipping or packaging industries, it is an excellent way to eliminate the hassle of lugging around steel strapping and tools in the workplace. It is also a great fit for those with small businesses who frequently bundle or haul loads that are reinforced with steel strapping material.